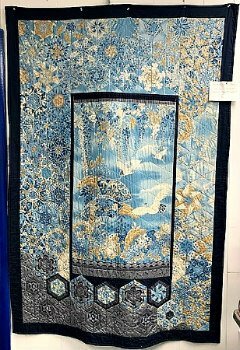 Learn how to use quilt panels to create a quilt top with a unique design of hexagons surrounding one of the panels. The size of your quilt depends on the size of the panels and how many of the hexagon blocks you decide to use. My sample is 48in X 70in.